NEWS: MoOde 3.0 and MoOdeCase are available with a special kernel and Squeezelite support! 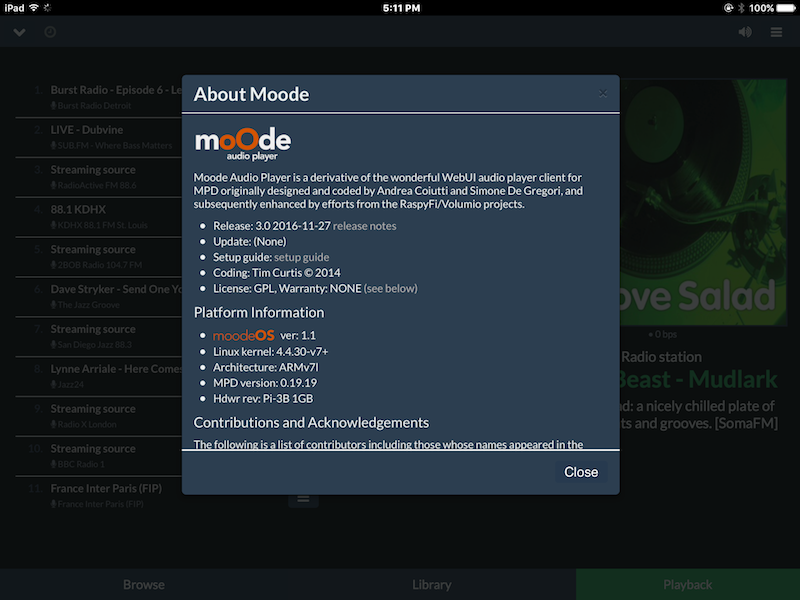 This release of Moode Audio Player includes an Advanced kernel that provides important audio capabilities and low latency performance, Squeezelite renderer, enhanced MPD features, new version of shairport-sync, improved resiliency to network interruptions, new commercial-free, listener-supported radio stations, support for new I2S audio devices and numerous updates and bug fixes. 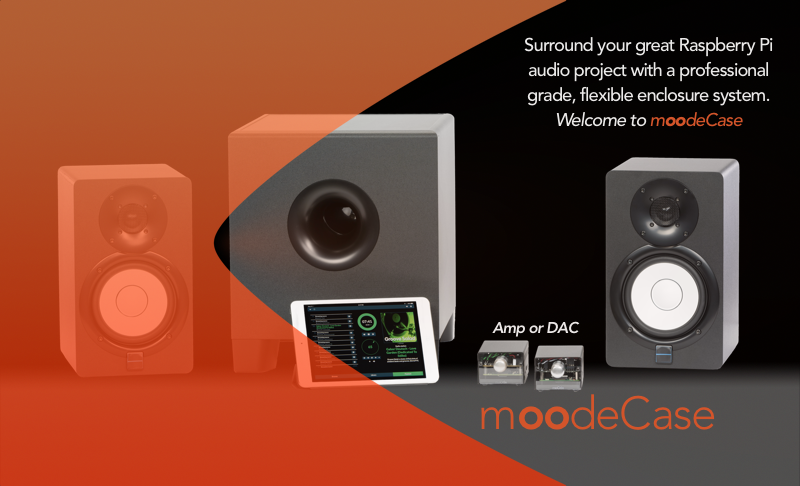 Please read the attached Release Notes and view the Setup Guide at moodeaudio.org for more information, and treat your Raspberry Pi audio project to a professional grade enclosure with moodeCase! 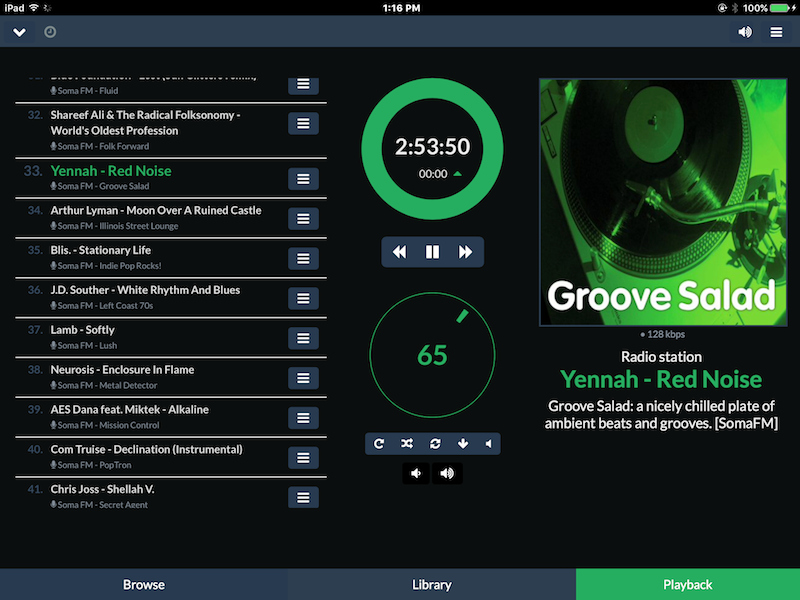 PrevPreviousNews: Volumio 2 – Final version with software volume control and Grid View! I recently finished a build using the MamboBerry LS DAC+ in the MoodeCase enclosure with 5v iPower. Running Moode 3.1 as UPnP renderer with the advanced audio kernel, this combination produces truly high-end sound quality at a crazy low cost!